Karen & Steve Alexander (www.temporarytemples.co.uk) invited Tim Carson, a farmer in the Pewsey Vale, to speak at their conference ‘Summer Crop Circle Lectures‘ in Devizes on Sunday 28th July 2013. 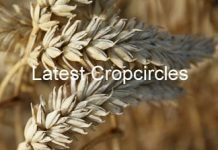 He explains why many crop circles are being cut out by farmers immediately after they appear. This decision and action was taken by local farmers in the summer of 2012. A lot of visitors from all over the world are disappointed by these reactions from the farmers. In this video you will get a short insight about why the farmers decided to act like they do. 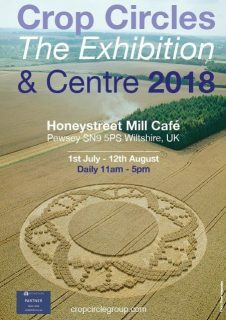 This video also includes an explanation by Monique Klinkenbergh of why she became involved in trying to save the crop circles from this fate and also setting the record straight about gossip and misconceptions surrounding the Access pass initiative run by the Crop Circle Information Co-ordination Centre at the Woodborough Garden Centre in Wiltshire.